In 1976 Yamaha introduced the CS-80, a synthesizer based on the same circuits as the venerable GX1. Though it cost much less, the price tag of the CS-80 ($6900) still put it out of the reach of most musicians. It was extremely heavy, too (183 lbs./83 Kgs with the stand), which made carting it around very difficult. But the features of this synthesizer made it immediately famous in the music industry, and it is remembered as the first great synthesizer from Japan. Once that rich sound was coupled with that much performance power, nothing from that era could touch it. 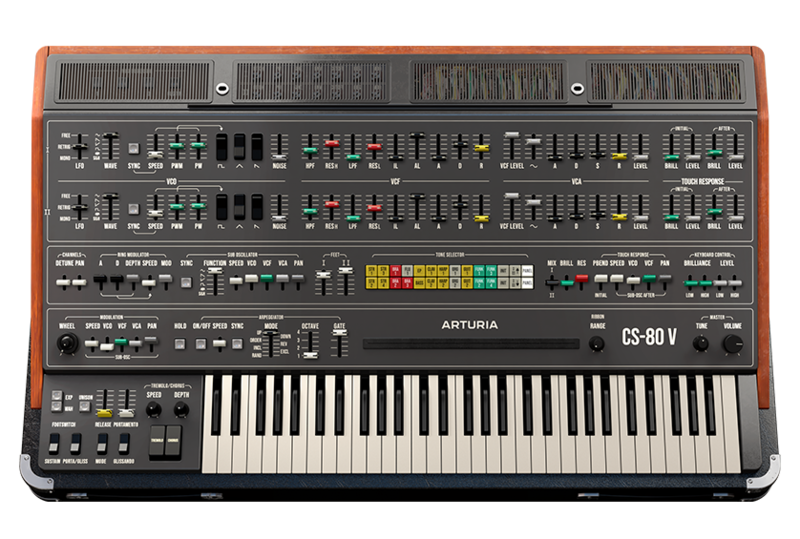 The CS-80 was featured in songs by a number of pop groups including Electric Light Orchestra, Toto, and Paul McCartney and Wings. 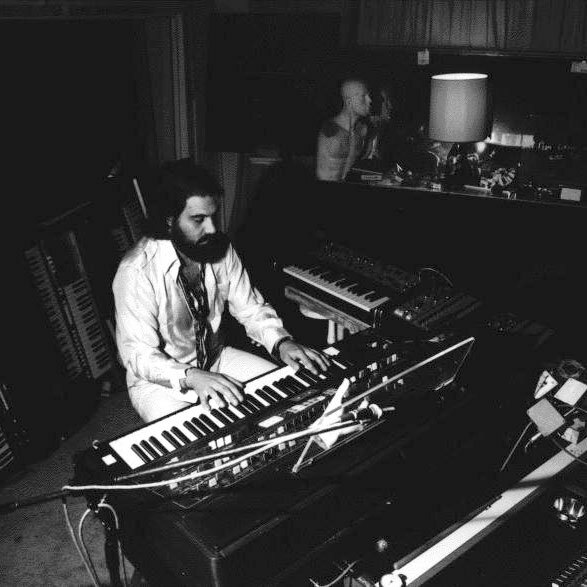 Its reputation grew as it was used by other artists such as Vangelis, Bon Jovi, Jean-Michel Jarre, Geoff Downes, and Stevie Wonder, each who helped turn the CS-80 into a true legend. ... To the evolution of the species. CS-80 V is our modeled version of the legendary Yamaha™ CS-80, and we have captured every nuance. Now, more than three decades after its release, the time has come to rediscover a sound that has contributed extensively to the history of music. 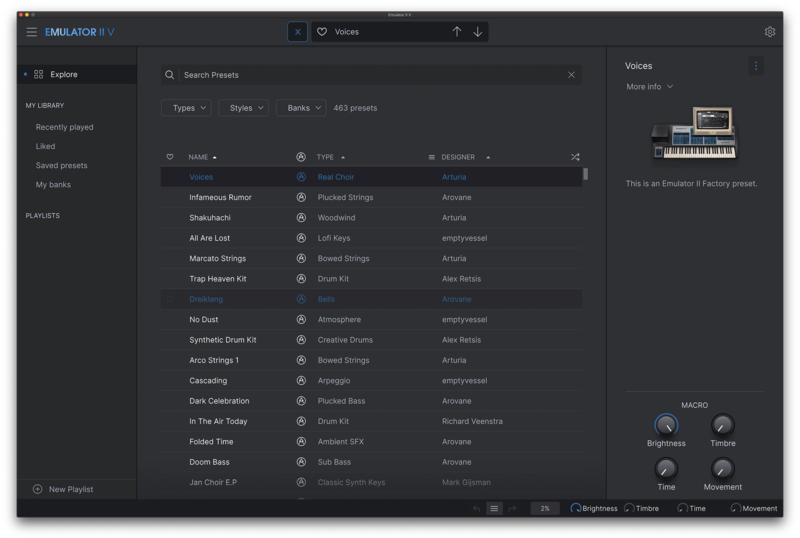 Multi Mode allows you to assign a different sound to each polyphonic voice. There are 4 different keyboard zones for multitimbral MIDI response, with 7 different voice modes (4 polyphonic and 3 unison modes). Unison modes can use from 2 voices to all 8 voices. An arpeggiator and a stereo delay. CS-80V comes loaded with more than 500 presets made by an international team of highly-skilled sound designers.